Marty studied Sports Coaching and Development at UCLan, learning how to deal with people. Marty’s degree taught him that different people learn in different ways and that people react different to feedback, criticism makes some people work better than praise would and vice versa. Managing staff on an event is no different to managing staff on a football team, the only difference is that the venue is the pitch, small targets being met is a goal and a successful event is a win. Greatest achievements – representing local clubs in prestigious competitions like the Foyle Cup and the Galway Cup, winning GetStaffedUK’s ‘Client’s Employee of the Year’ and graduating university! Favourite part of the job – Meeting new staff and introducing them to the family at Get Staffed UK; making someone feel happy and welcome at work is very satisfying and makes them want to work harder, win-win situation for me! Lessons learnt – It’s always better to be over-prepared and over-staffed, I also learned that not everyone progresses at the same speed as some people learn quicker than others. The main thing I’ve learnt though is that Get Staffed UK has that family feeling about it, everyone makes you feel welcome and a part of team, which means a lot especially for more quiet and shy people like myself; making it easier to blend in and adapt. 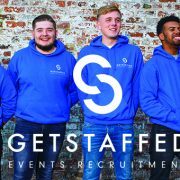 When Tom came on board at GetStaffed, he was brought in on a supervisory role, heading to events with large clients throughout the North West and ensuring that the team he brought with him were working to the standards expected from the venue. From here Tom has gone from strength to strength, leading to an Event Manger role followed by the Operations Manager role which he is in now. Tom works very closely with the Managing Director of the business and has helped the business to grow and develop, bringing in new clients using his excellent communication skills and contacts which he made throughout his time at UCLan. Tom is looking forward to further progression in his role and is a vital part of the Get Staffed UK team. Tom was recently voted Employee of the Year at the Lancashire Business View Sub 36 awards! Interesting Fact – Tom is also a model, signed for Boss Model Management, Manchester and Wilhelmina, London! Least favourite part of the job – None! Tom loves hospitality and after 10 years in the biz reckons he’s learnt to deal with no sleep. Hobbies – Peroni , Golf (starting to think Tom & Tom are the same person), cooking and seeing friends. Lessons learnt – Many! Learn something new every day! 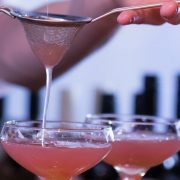 Tom has been in the hospitality industry for over 9 years, helping to create and service many venues, events & companies. His previous experience includes work in every role within the industry, he then became obsessed with the industry. Throughout this time it became clear that the industry faced many challenges, lack of skilled labour, unreliable staff and high staff turnover. 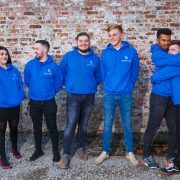 Tom founded Get Staffed to address these problems; it was launched after a vigorous 9 months of planning and already is approaching 1000 active staff members and over 40 amazing clients. Wahoo! 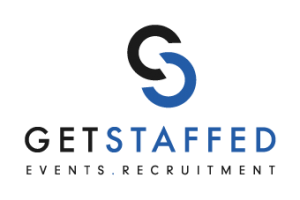 Using an in-house built web platform, GetStaffed provides a seamless and transparent service to employees, increasing the service to the employer. Tom has now begun a pioneering training and development programme for employees, delivering innovative and accredited training, whilst offering work opportunities within the industry. The web platform will soon become a transparent app and marketplace, resolving industry issues and servicing the growing expectations of customers. Tom’s greatest achievement to date is seeing GetStaffed grow to where it is now! 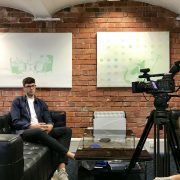 Tom has recently spoken at Meet the Entrepreneurs for Global Entrepreneurship week and been voted one of the top 4 young entrepreneurs at the Lancashire Business View Sub36 Awards. Least favourite part of the job – Late nights! Favourite part of the job – The unpredictability of the industry and the large variety of events! No event is the same. Lessons learnt – 100’s of lessons learnt; some big ones which have enabled GetStaffed to come back each time with a better system or service.